Recently we were asked if Sunset Reports can work as an alternative to Microsoft Access. The answer is yes or no, depending on what Access is used for. In many situations, Access is used to query a database and create reports or export data. There are no tables or forms designed, just queries or reports. In this case, yes Sunset Reports can replace Microsoft Access. In fact it is a great replacement because the query builder and report designer in Sunset Reports is actually more powerful than Access. Exporting from Sunset Reports is also better handled than Access with more options and better formatting. 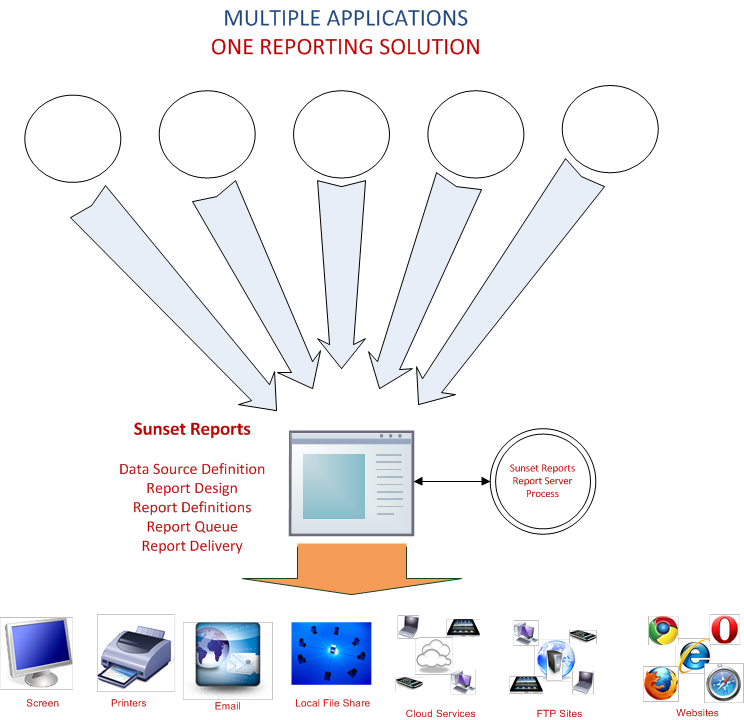 Sunset Reports also has a great distribution system with multiple channels including email and FTP. If you need a way to store data and don’t want to use Microsoft Access, then SQLite, MySQL, and FireBird are free database back ends that you can use and in conjunction with Sunset Reports, you should have all you need.